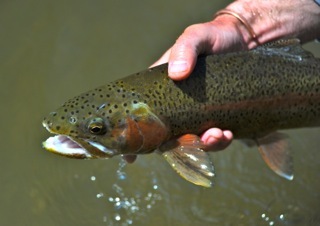 Another beautiful rainbow taken on fly while fishing with Wolfe Outfitters. This particular fish came on an indicator rig while nymphing a seam. Fall can be a great time to start plying trout waters again, as the river waters cool, and the trout become more active. 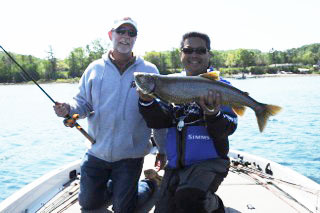 Rick, in from Missouri, with a dandy lake trout he caught while bass fishing with Captain Ben Wolfe out on East Grand Traverse Bay. Interestingly, this big laker hit a jig that Rick was using for bass. Nice incidental catch! 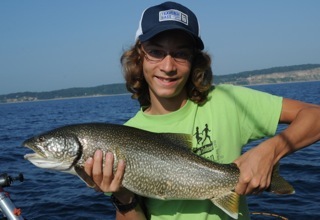 Reed Wawrzynek from New York State, with a lake trout he caught while fishing with Captain Andy Odette, out of the port of Frankfort. 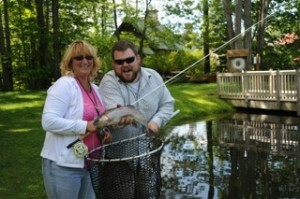 Another Sport Fish Michigan Captain scores for his customers again! 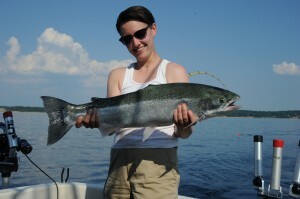 Lots of lakers, steelhead trout and salmon were caught on this trip. Nice Traverse City Bass Guide Service trucker hat, Reed! 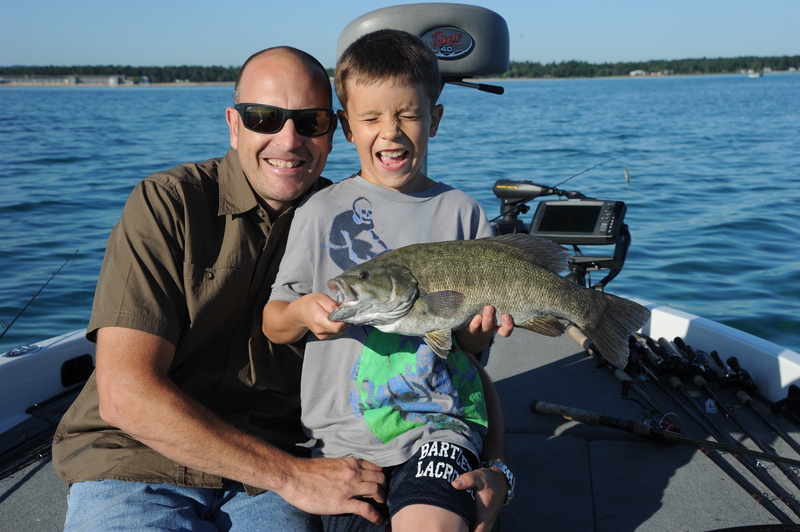 Mike Abbot, from Chicago, enjoying a huge smallmouth (4+ pounder) his son caught all by himself while out with Capt Ben on Grand Traverse Bay with Traverse City Bass Guide Service. As evidenced from his huge smile, he’s a happy little guy! 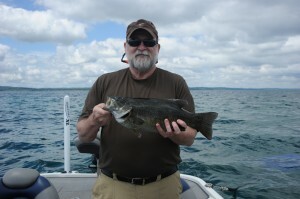 Fishing with Traverse City Bass, out on Grand Traverse Bays, this was one of many bass caught that day. His brother’s big fish was no slouch either! Way to go guys!!! A few days after fishing with Traverse City Bass Guide Service out of Traverse City, Gabe Sopocy connected with Capt. 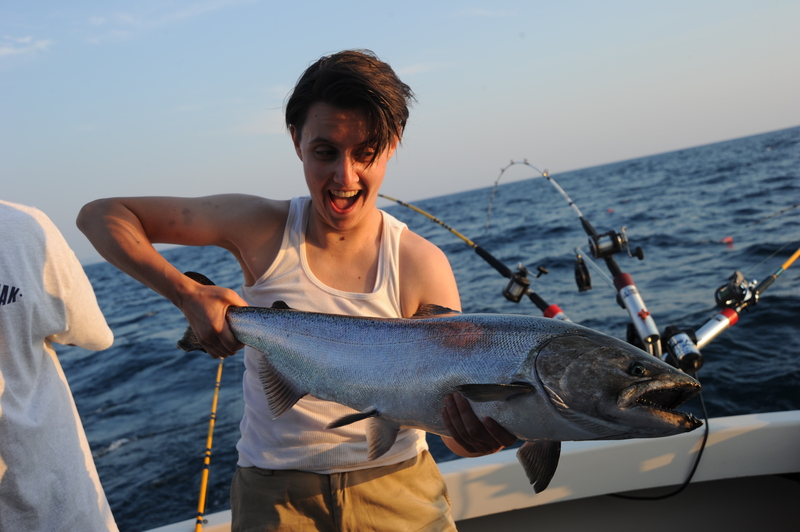 Andy Odette, another Sport Fish Michigan associated Captain out of Frankfort for an evening of salmon and steelhead fishing. They needed a bigger cooler for all of the salmon and this huge steelhead they caught! 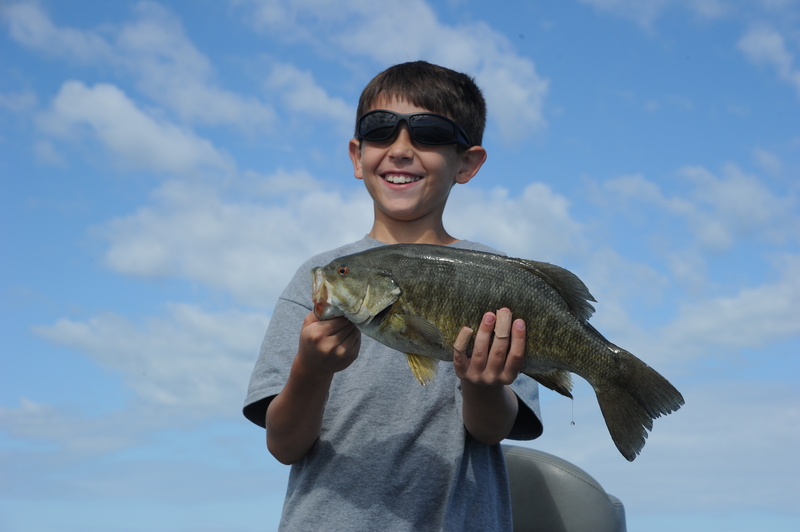 Traverse City Bass customer, Patrick Melia with a huge bronzeback caught out on the Bays. 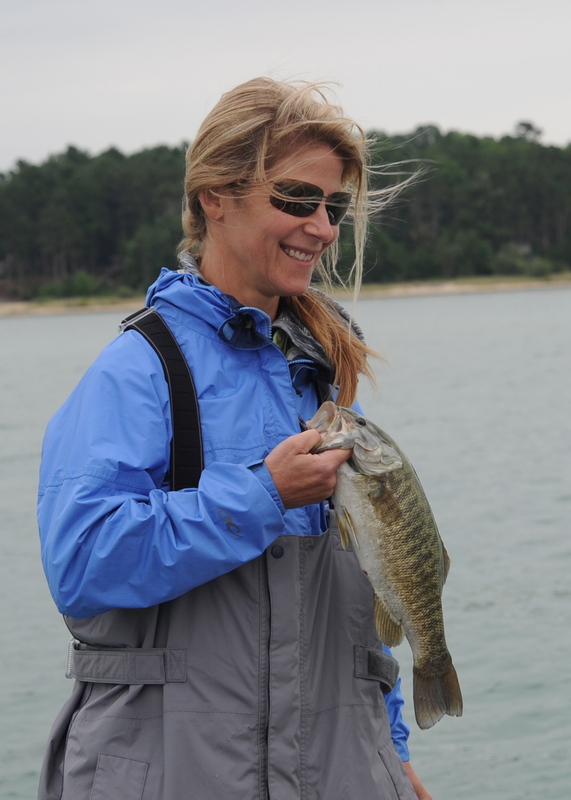 It got super rough that day, shortly after this fish was caught, but we did manage to catch some nice smallmouth before we got chased off the bay with big rollers! 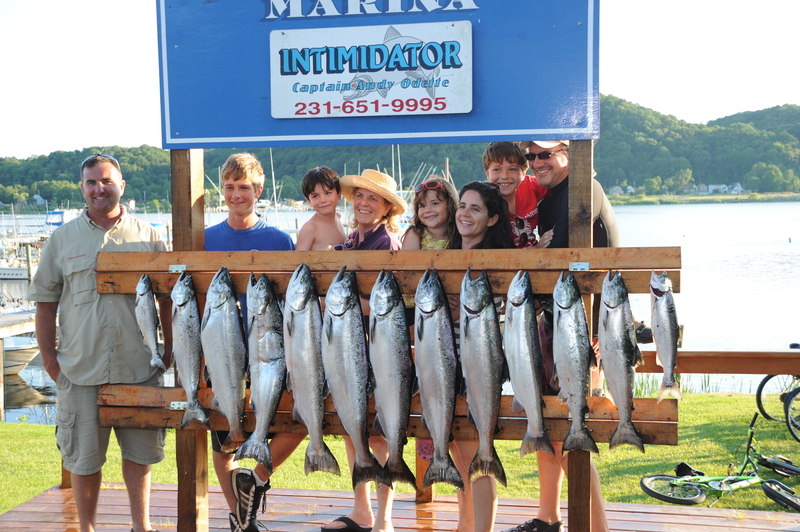 Vacationing in the Traverse City area, Andrea and her family fished with Sport Fish Michigan Captain Andy Odette out of Frankfort to catch a huge bunch of salmon. We even had to go buy new coolers to fit all the fillets in! A most memorable trip for sure. 3 brothers, three nice king salmon! 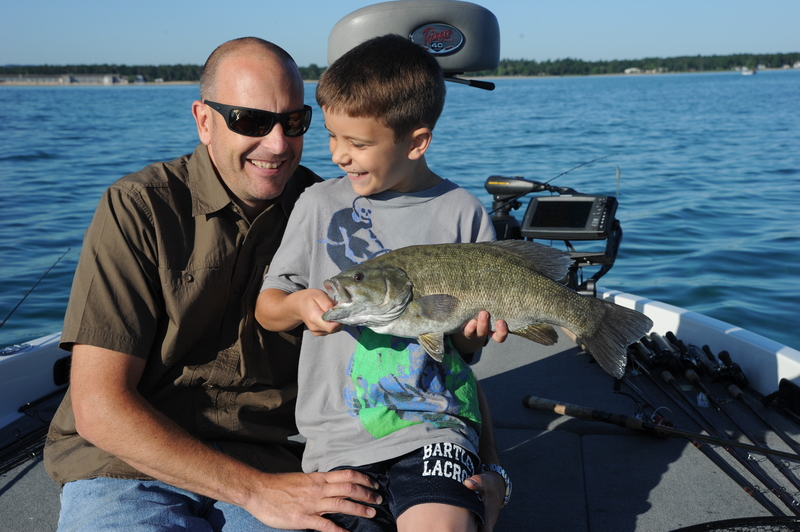 Visiting Traverse City from Chicago, the brothers went with their dad to fish with Captain Brian Springstead, part of the Sport Fish Michigan network of Charter Captains & Guides. Lots of fish were caught, and they even had to give away fillets to make room in their 2 coolers! 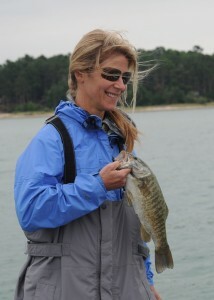 Elaine Finucane from Tennessee, holding a beautiful bass from East Bay. 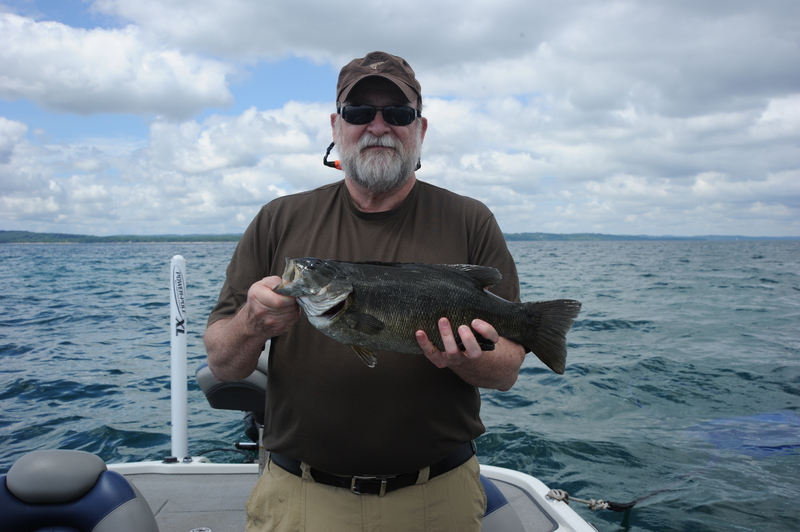 The weather was gloomy out near Traverse City, but the fishing was good. 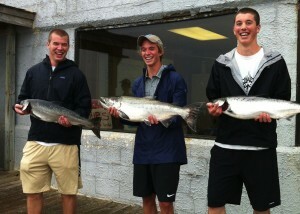 We caught a lot of fish, despite the rain and cool temps.